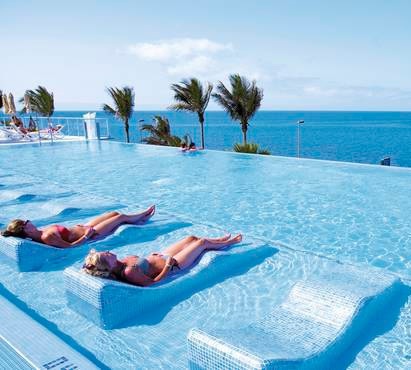 The popular 4 star all- inclusive Club Hotel Rui Gran Canaria is set in large gardens around a substantial pool complex near to the resort of Maspalomas and only 900 metres from the famous Maspalomas sand dunes. 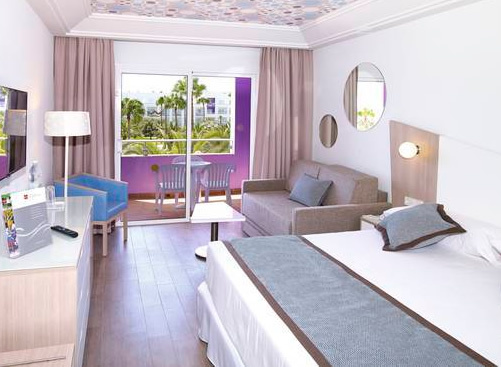 It has a short 30 minute taxi transfer time from Las Palmas airport and is only 5 Km from the lively resort of Playa del Ingles. This hotel will appeal to couples and families for its quieter beach front position with a wider choice of entertainment nearby. The hotel has 639 guest rooms/apartments they are equipped with private bathroom and bidet, hairdryer, telephone, central air conditioning, ceiling fan, mini-fridge, music channel, satellite TV, in-room safe, balcony. The apartments have a living room with sofa bed, kitchenette and terrace. The hotel also has several suites these rooms have living room and sofa bed with sea view. The hotels All Inclusive package includes all meals and snacks: Breakfast: Varied buffet with wholegrain products and on the spot cooking station and Continental breakfast/snacks. Lunch: Buffet, dishes prepared on the spot and assorted desserts, Light fare at the poolside restaurant. 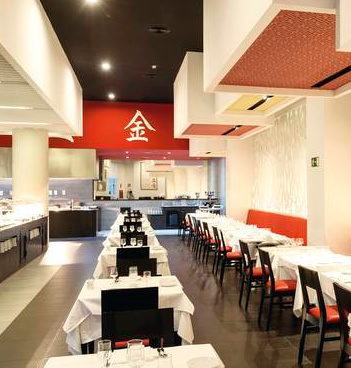 Dinner Buffets and dishes prepared on the spot with optional dinner (reservations required in advance): Asian or Mexican cuisine at the Las Brisas theme restaurant (alternating days) Canarian or Andalusian cuisine at the Roque Nublo theme restaurant (alternating days). Snacks and beverages are available 24 hours a day, domestic and imported beverages (alcoholic and non-alcoholic drinks). The hotel has 3 swimming pools and a children's pool (heated in winter) plus a range of activities that include table tennis, aerobics, shuffleboard, French Bowls, darts, airgun shooting, Gym, Multipurpose sports pitch, 2 volleyball courts, 2 floodlit tennis courts with racquets and tennis balls available (deposit required). There is an entertainment programme, and a mini club for 4 to 7 year olds and a maxi club for 8 to 12 year olds. The Club Hotel Riu Gran Canaria has a great holiday infrastructure with facilities on hand for all the family including 2 whirlpools, complimentary sun loungers, changing rooms, parasols and towels by the pool, a large sun terrace, children's playground, hobby club, boutique/kiosk, hairdressers, use of computers with internet access (additional charge) and use of the Beauty and Health Centre at the nearby Riu Palace Meloneras Hotel(additional charge). 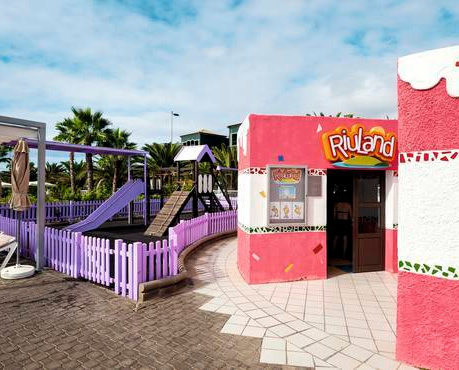 For excursion ideas and things to do click Gran Canaria to see more information.